Jen Lester - My introduction to motherhood was ROUGH… So I’m really passionate about helping other parents whose babies have Colic. I want to help you with the Colic so that you can get back to enjoying your new baby! My introduction to motherhood was ROUGH… So I’m really passionate about helping other parents whose babies have colic. That's why I wrote the book - to help with the colic so that you can get back to enjoying your new baby! 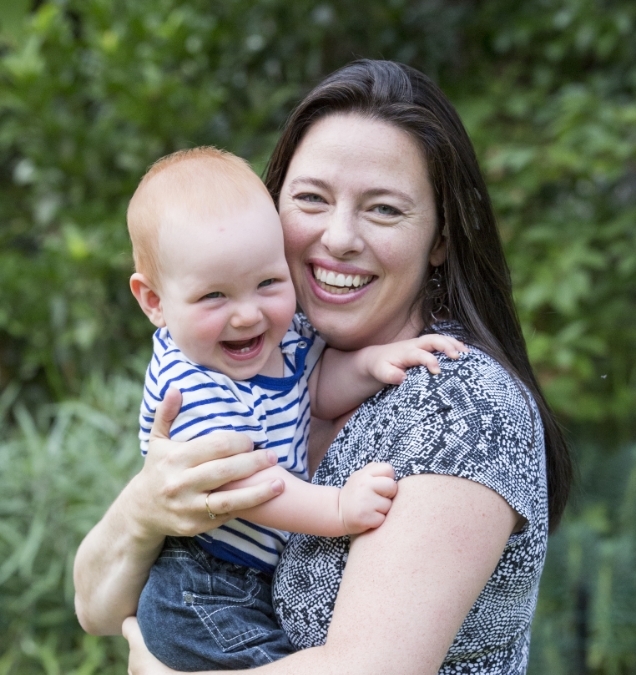 My story: My gorgeous little boy suffered terribly from colic. I was so desperate to find help for him that I began an exhaustive quest for answers. Fortunately, I'd been a medicine student at one time in my life, so I tapped into those skills to find and review the latest medical research. I talked to every baby expert I could find, chatted to other parents who mentioned they’d been through it too, read the baby books, the text books and scoured the internet. In the process I discovered that there were solutions out there, you just had to search hard enough to find them. And so I wanted to share that with other new parents – lets face it, you’re exhausted enough already, without having to do that kind of research! Author Jen Lester and her son, Oliver. In Survivor’s Guide to Colic I’ve pulled together the best techniques and solutions for colic, and as we go I’ll tell you who thinks a particular solution/technique works (and why) and who disagrees (and why). I'll also tell you what I think. That way you are armed with all the information you need to help your baby (and the rest of your family) through this tough time. The Boring Stuff: By profession I am a lawyer who works for not-for-profit organisations and other companies. I’m also a professional company director/company secretary and at one point in my life I spent a year working as a trapeze artist and circus instructor (yep, really!). I have Bachelors Degrees in commerce and law (honours) and a Masters Degree in intellectual property law. I also have diplomas from the Australian School of Applied Management and the Australian Institute of Company Directors. If you are reading this website: it is quite likely that you’ve been going through a very tough introduction to parenthood! Having been through that too, I know how challenging/ stressful/ frustrating/ heartbreaking /scary that can be for you, your baby and your whole family. So I'd like to help if I can - you can download a free sample of my book from any of the major resellers listed on the right. And do let me know what works for you, because I'll incorporate that in a later edition of the book if I can, so that we can get the word out to other new parents! I also stay on top of the latest research, ideas and solutions for colic. If you’d like to hear about the latest developments you can follow me on Facebook or Twitter.